Lisa M. Hendey is the founder and editor of CatholicMom.com and the bestselling author of The Grace of Yes, The Catholic Mom's Prayer Companion, The Handbook for Catholic Moms, I Am God's Storyteller, and A Book of Saints for Catholic Moms. Lisa’s children's project, the “Chime Travelers” fiction for elementary school readers, is based upon the lives of the saints. The books in the series are The Secret of the Shamrock (St. Patrick), The Sign of the Carved Cross (St. Kateri Tekakwitha), The Whisper in the Ruins (St. Francis of Assisi), The Mystery at Midnight (St. Clare of Assisi) and Strangers at the Manger (the Holy Family). Learn more about this series and how to invite Lisa to visit your school (in person or by Skype/Facetime) at www.ChimeTravelerKids.com. Lisa is the host of "Lisa Hendey & Friends" on Breadbox Media and the co-host of "Catholic MomCast", a production of Holy Cross Family Ministries and CatholicMom.com. She has produced and hosted multiple programs, including KNXT's Catholic Mom TV and Making the Grade, a program aimed at promoting quality Catholic education. Lisa has additionally appeared on EWTN, CNN, CatholicTV and as a part of the Momnipotent DVD series. Hendey is the technology contributor for EWTN's SonRise Morning Show, a regular correspondent on Relevant Radio's Morning Air Show and on Holy Spirit Radio's Spirit in the Morning show. Lisa has blogged at the National Shrine of Saint Elizabeth Ann Seton, Patheos, New Evangelizers, Integrated Catholic Life, CatholicTourist.com, and Productivity At Home. Her articles have appeared in Catholic Digest, National Catholic Register, and Our Sunday Visitor. Hendey travels internationally giving workshops on faith, family, and Catholic new media topics. She was selected as an Elizabeth Egan Journalism Fellow and traveled with Catholic Relief Services in Rwanda to study and write on the aftereffects of the Rwandan genocide on the eve of its twentieth anniversary. Lisa was selected to attend the first-ever Vatican Bloggers Meeting, the "Bishops and Bloggers" meeting and the Catholic Press Association tour of Israel as a guest of the Israeli Ministry of Tourism. Lisa has traveled and shared her writing from Tanzania, Colombia, the Philippines, Kenya, and India in service of non-profit organizations. 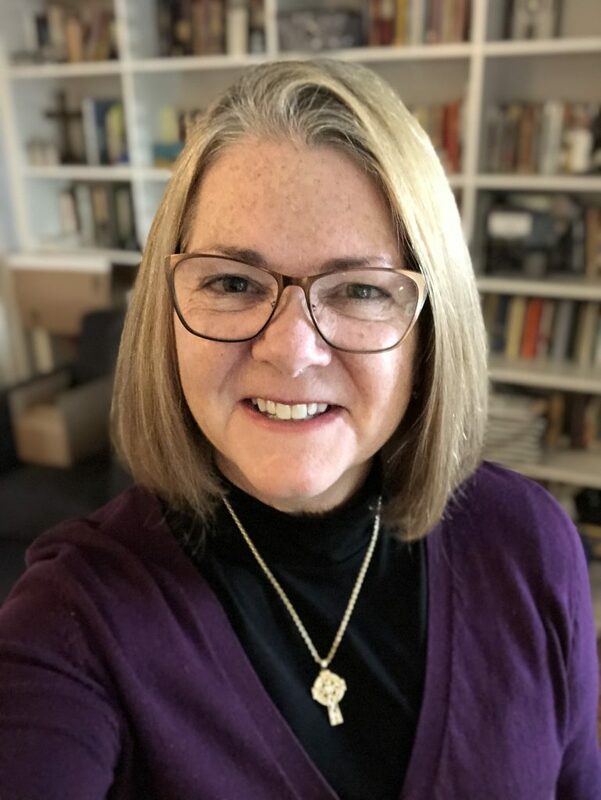 Her speaking schedule has included the Los Angeles Religious Education Congress, Catholic Marketing Network, the University of Dallas Ministry Conference, the Midwest Family Conference, and the National Council of Catholic Women. Hendey lives and worships with her family in the Archdiocese of Los Angeles, California. Launched in late 1999, CatholicMom.com welcomes visitors every month from around the world. In 2016, CatholicMom.com was acquired by Holy Cross Family Ministries. The site features columns by over one hundred and fifty contributing columnists who volunteer their expertise on everything from Catholic Breastfeeding and Natural Family Planning to parenting humor. The site features a daily gospel reflection written by hundreds of contributing volunteers, a "Tech Talk" column which highlights the latest software, apps, and programs for faith and family. Additionally, CatholicMom.com is home to a Catholic Book Club featuring daily book reviews of fiction, non-fiction and children’s selections by Catholic authors. The site’s Catholic Music Spotlights highlight the work of Catholic recording artists in an interview format designed to help promote Catholic music and aid parents in helping their children make uplifting listening decisions. Each week, CatholicMom.com offers a variety of children’s activities designed to help children learn from the Sunday Liturgy of the Word. These activities, based upon the Sunday Gospel, include age appropriate coloring pages, crossword and word search puzzles, and interactive Mass worksheets designed to help the child truly embrace the Mass. Weekly lesson plan aids are offered for Religious Education teachers, homeschoolers and families looking to teach the faith based upon the Church’s liturgical calendar. Visitors from over 100 countries around the globe have come to rely upon these free and liturgically relevant catechetical materials. Lisa M. Hendey is available to speak to your group on Catholic faith, family, new media, personal productivity and healthy living topics.